Break up with breakouts. 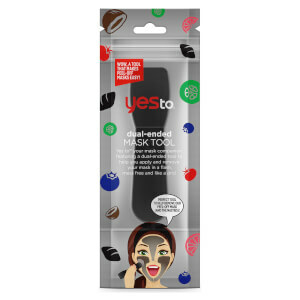 The yes to Tomatoes Detoxifying Charcoal Spot Blemish Treatment is a targeted spot treatment made with a blend of Charcoal, Tomato extract and Salicylic Acid to help fight blemishes and promote clearer-looking skin. Working to detoxify and banish breakouts, the spot-on acne treatment gets the ball rolling for naturally clearer-looking skin. Effective and non-drying, the roller ball applicator delivers a targeted and concentrated dose of Salicylic Acid, Tea Tree Oil and Witch Hazel to help fight blemishes by drawing out pore-clogging dirt and impurities. It also helps to visibly calm angry redness with a cocktail of Bisabolol and Ginger extract.